Staying hydrated is something you probably worry about during summers, but dehydration isn’t unheard of in winters. In fact, exercising or extra physical exertion at higher altitudes causes your body to lose extra amounts of water. According to CBS, nearly 75% of Americans fail to consume adequate water each day. How Do We Get Dehydrated? The drop in temperature brings a few changes to how our body functions. 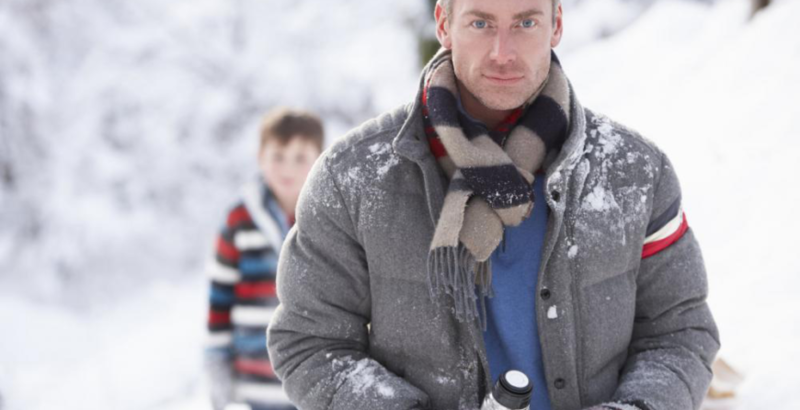 Have you noticed an increase in the need to urinate when it gets colder? It’s a condition known as cold-induced dieresis and happens when our blood vessels undergo vasoconstriction in order to reduce heat loss. The metabolic rate also rises as more energy is burned to keep the body warm creating urine as the byproduct. People also wear additional layers of clothes that can lead to sweating and the reduced sensation of thirst means our bodies are deprived of valuable fluids. Seizures: Electrolytes (such as sodium and potassium) help carry electrical signals throughout the body. Dehydration is responsible for an imbalance in the electrolytes that can mix up normal electrical messages leading to involuntary muscle contractions and a possible loss of consciousness. Kidney and Urinary Problems: Prolonged effects of dehydration can lead to kidney stones, urinary tract infections, and kidney failure. Hypovolemic Shock: Perhaps the most life-threatening and serious consequence of dehydration. It occurs when there’s a simultaneous drop in the amount of oxygen and blood volume in the body. Always carry a water bottle or keep one in plain sight such as the office desk, on the dinner table, next to your bed, etc. Food items such as cucumber, watermelon, tomatoes, spinach, peppers, celery, and radish have more than 90% water content and should be included in your diet plan. Soups and stews keep you warm and increase the fluid intake. Setting alerts on your phone or computer to remind you to drink water. Switching from coffee and tea to herbal tea. Never ignore your body’s cues for water consumption. It helps maintain body weight, reduce calorie intake, and lead to an overall healthier lifestyle. If you’re not big on drinking water, mix it with herbs and fresh fruits to create a delicious concoction. The effects of dehydration can set in immediately and the results can be permanent. In case of emergency, we offer urgent care in Gold Canyon, AZ for children and adults and ensure you walk out healthy!